In Florida, judicial retention elections for Supreme Court justices and appellate court judges are held once every six years. 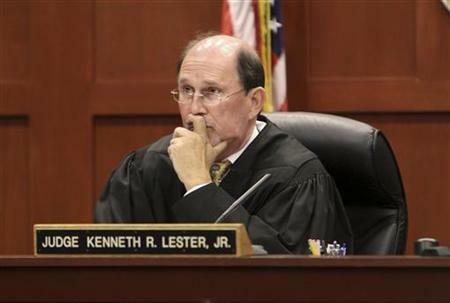 This year appellate court judges face retention. YES * Robert T. Benton - , * Scott Makar , * Tim Osterhaus , * Clay Roberts The 1st DCA covers the counties of Alachua, Baker, Bay, Bradford, Calhoun, Clay, Columbia, Dixie, Duval, Escambia, Franklin, Gadsden, Gilchrist, Gulf, Hamilton, Holmes, Jackson, Jefferson, Lafayette, Leon, Levy, Liberty, Madison, Nassau, Okaloosa, Santa Rosa, Suwannee, Taylor, Union, Wakulla, Walton and Washington. The 2nd DCA covers Charlotte, Collier, DeSoto, Glades, Hardee, Hendry, Highlands, Hillsborough, Lee, Manatee, Pasco, Pinellas, Polk and Sarasota counties. YES for Thomas Logue, Vance E. Salter The 3rd DCA covers Miami-Dade (circuit 11) and Monroe (circuit 16) counties. The 4th DCA covers the counties of Broward, Indian River, Okeechobee, Palm Beach, St Lucie and Martin. More Florida info provided below. is being nominally challenged in the primary by conservative activist and perennial candidate Elizabeth Cuevas-Neunder and pharmacist Yinka Abosede Adeshina, and he is a lock to win renomination. Though there were rumblings that someone might challenge him the primary, those rumblings obviously never resulted in a serious challenge, though I am curious as to how a competitive Republican primary would have played out. Cuevas-Neunder seems like a more serious challenger than Adeshina, but in the end, it matters not, because Scott will easily win. Rick Scott is the only Republican hope. The Supreme Court race of judges is proving to be especially contentious, as various conservative groups and other individuals have been fighting against the retention of Justices Barbara Pariente, Fred Lewis and Peggy Quince. The organization, Restore Justice 2014, is trying to oust these justices on the grounds of inappropriate judicial activism--pointing to a 2010 healthcare ruling and a 2006 death penalty ruling. In addition, the Southeastern Legal Foundation was arguing a lawsuit that accused the justices' of illegally using court employees to file their election paperwork. Expect a strong pro life vote for candidates in the August 14 primary. Any Candidate Below this Line reflects Liberal Rino Voting, and should be looked at for replacement. A true tea party person looks at the voting record, not what a tea party candidate says. Florida is the 25th most conservative state, voting for Obama in last election but 2.81% more Republican than the national average. The Florida November election is Tuesday in August 2011. Conservatives do not like Charlie Christ for US Senator, and they greatly prefer Marco Rubio. Endorsements from Florida Right to Life The Florida Right to Life political action Committee is a single-issue committee affiliated with Florida Right to Life, Inc. After careful review of candidates voting records and questionnaire responses the PAC issues the following endorsements and ratings for the Florida primary election. Please note that districts not listed indicate either no election or no recommendation. the above incumbent FL Supermen Court Judges have proven themselves to be TOO LIBERAL. Recommend a NO vote for all three of them. Florida will elect Christian candidates on August 14, 2014 in the Republican Florida primary. The Conservative who can win. No doubt other candidates are great tea party types, Mike McCalister (R) , Marielena Stuart (R) -, and former Congressman Dave Weldon (R). Connie Mack is rated as the 3rd most conservative congressman Florida out of 27, an impressive record. Since there is no run off in FL, the best chance to beat a liberal is Connie Mack.